Well we sure have had lots of snow this year! The plow truck is getting some hours put on it. In the Annandale area we are seeing around 20 inches of snow on the lake now. Last time I checked was 22 inches of Ice. We might have a few more inches now. We have covered a ton of Ice in the last week. Over the last week we have been fishing on 4 different lakes. We are doing better in the Annandale area then the Leech Lake area so plan on staying in the Annandale area. We did a guided outing on Leech lake and hit a small lake off a logging trail and barely made it off that lake with a slush pocket the sno bear barely made it across. We did find the fish with the panoptix but hole hopping in 35 inches of snow can be a challenge and tire a guy out. 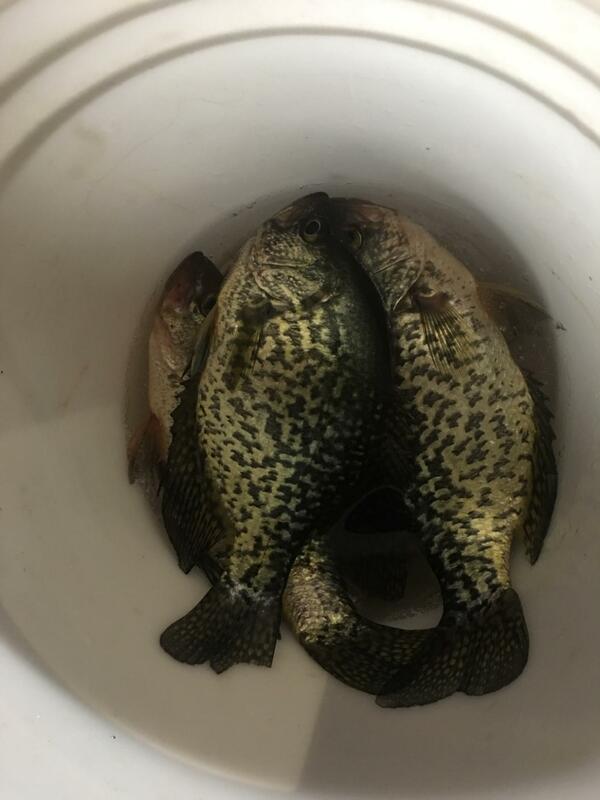 So we caught a couple crappies and sunfish and decided to get back out onto Leech and try for Walleyes and Tulibee. 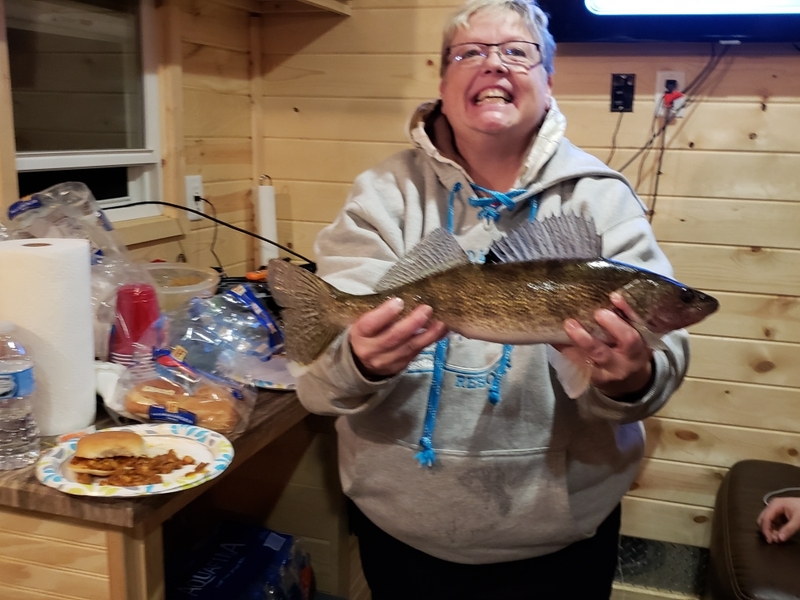 The walleye fishing on Leech was slow for us. All I can say about Leech Lake is even track vehicles are struggling to get around up there so we are going to stick within 30 miles of Annandale area as the lakes are easier getting around on and the fishing has been better for us. As far as customers doing hook and go rentals we are offering plowed spots with your hook and go rental with no extra cost in the Annandale area. This weekend we are running the sno bear Friday Saturday and Sunday. Monday we still have a openings for those of you with kids out of school give us a call! 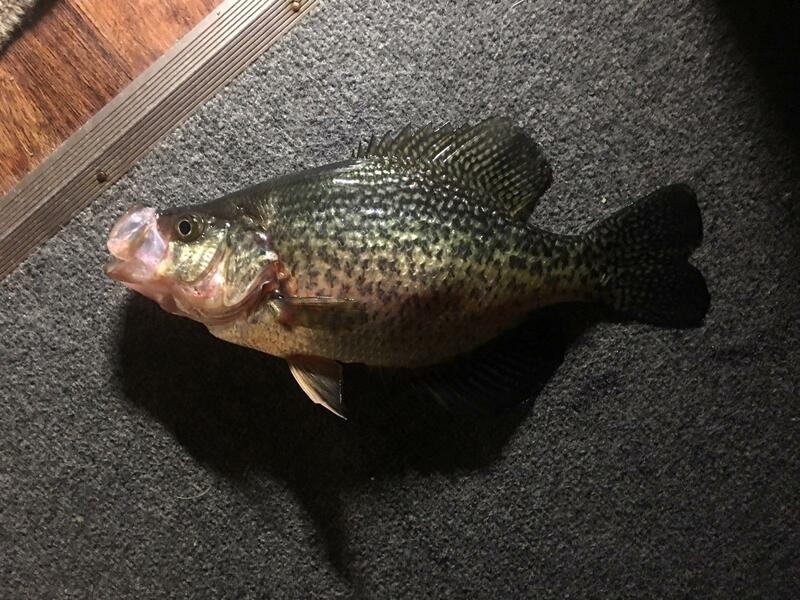 We have been fishing 19 Feet of water for Sunfish and crappies on one lake and another lake we are fishing Crappies in 43 feet of water. This weekend we are going after big pike and big walleyes. I have saved a few spots for this weekend and am exited to see what this lake is going to produce! This lake also produces some nice Jumbo perch at times. We will be fishing 12.-13.5 Ft of water for the walleyes and pike. Give us a call if you want to get on some fish!